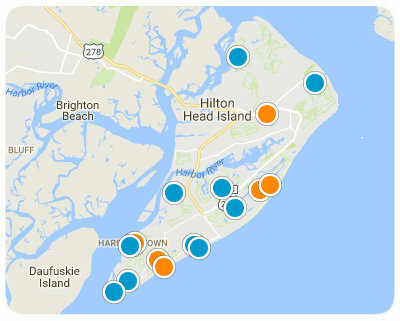 If you're interested in Hilton Head real estate, you've come to the right place! 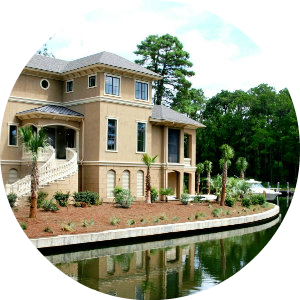 This site is dedicated to the user-friendly location of properties on HHI, South Carolina that buyers of primary, secondary, and investment ocean and ocean front, golf, tennis, and retirement homes are most interested in. Our agents know the market better than the competition and have frequently have backgrounds in corporate disciplines that enable them to offer discerning and comprehensive resources in property evaluation. 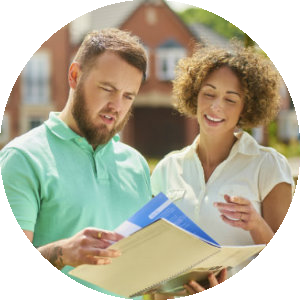 We take our clients through identification of properties, the outlining of all costs involved, negotiation for best price and terms, home inspection, CL-100 wood infestation inspection, pool inspection, and others. Our realtors also work with clients to determine needs for any special contingencies and have contact with all local mortgage origination professionals to assist with financing. The Pattisall Group also maintains professional relationships with attorneys, insurers, accountants and all other required service providers to insure a smooth transaction for all valued customers. Learn about and explore the various and unique communities that HHI, SC has to offer by simply navigating the pages of this site - whether you have visited the area, or not, everything about Hilton Head real estate is listed here and just a few clicks away. Start with the Quick Search, above, and then progress to the Advanced Search, which is hyperlinked below it and the latest upgrade allows you to draw your own polygon to search within an area of your choice with. Note that you can also use a map search hyperlinked in blue at the bottom of the display of each property page that will aid your perspective of where the many properties are located on the map. Hilton Head real estate is known for its twelve miles of sandy beaches and oceanfront properties. The premium ocean properties are to be found in Sea Pines (check out the Sea Pines Guide, as well), Palmetto Dunes, Forest Beach, Port Royal, or perhaps on one of the mid-island beaches of Singleton Beach, Burkes Beach, Bradley Beach, or Folly Field Beach. Families that enjoy the deep water experience might like the Calibogue Cay or Baynard Park homes in Sea Pines, the Brams Point homes of Spanish Wells, a Ribaut Island home in Hilton Head Plantation, a waterfront home in Windmill Harbour, a harbour home in Wexford Plantation or Long Cove Club, or off-plantation on the deep water such as Blue Heron Point. Off-island, Hampton Lake has become an immensely popular water-setting venue. HHI is home to many of the best championship golf course communities on the east coast, such as the Harbour Town, Club Course, Ocean Course, or Sea Marsh/Heron Pointe neighborhoods of Sea Pines, or the Robert Trent Jones, George Fazio, or Arthur Hills course subdivisions of Palmetto Dunes. There are similar neighborhoods within Shipyard, Indigo Run, and Hilton Head Plantation that offer multiple golf course choices. Finally, we have the private golf club communities of Wexford Plantation, Long Cove Club, and Palmetto Hall. Private golf communities that are super-exclusive are also to be found in Bluffton, SC in the communities of Colleton River Plantation, Palmetto Bluff, Belfair Plantation, Berkeley Hall Plantation and Hampton Hall Plantation. 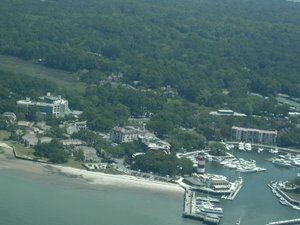 Condos are a great entry point into the Hilton Head real estate market. There are many different settings of condominium complexes, each with their unique characteristics and at price points ranging from inexpensive to pricey. The more expensive oceanfront villas are to be found in Sea Pines, Forest Beach, Palmetto Dunes, and select locations that are Off-plantation. Those locations also have condos of various prices that exhibit golf, tennis, pool, marsh, deepwater, and landscaped views. There are also villa properties in Bluffton in Moss Creek, Colleton River, Hampton Hall and Hampton Lake, and many Bluffton Off-plantation locations. The possibilities are many and there is something for everyone here, so happy searching and do not forget to e-mail or call with your Hilton Head real estate questions!! !